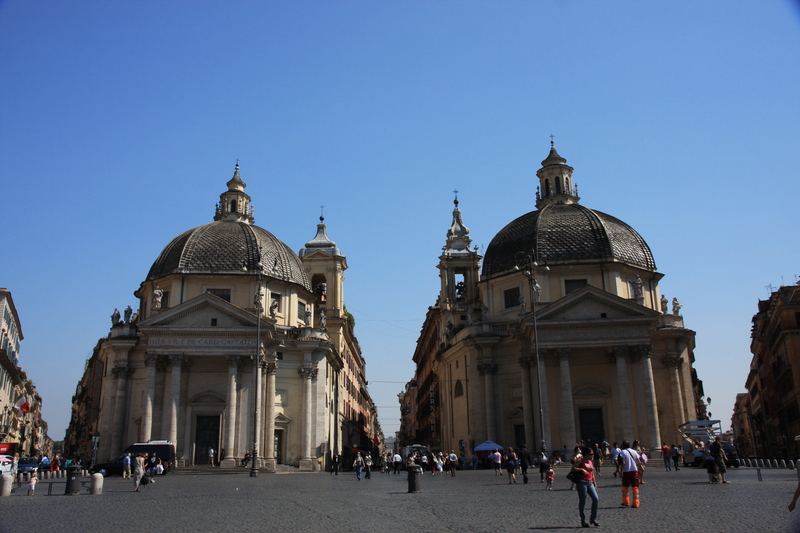 A few days ago, we returned from Rome after a whirlwind week of celebrations. Alex was baptized in St. Peter’s Basilica on June 26 and was surrounded by friends and family from across the U.S. and Italy. Our friend Fr. 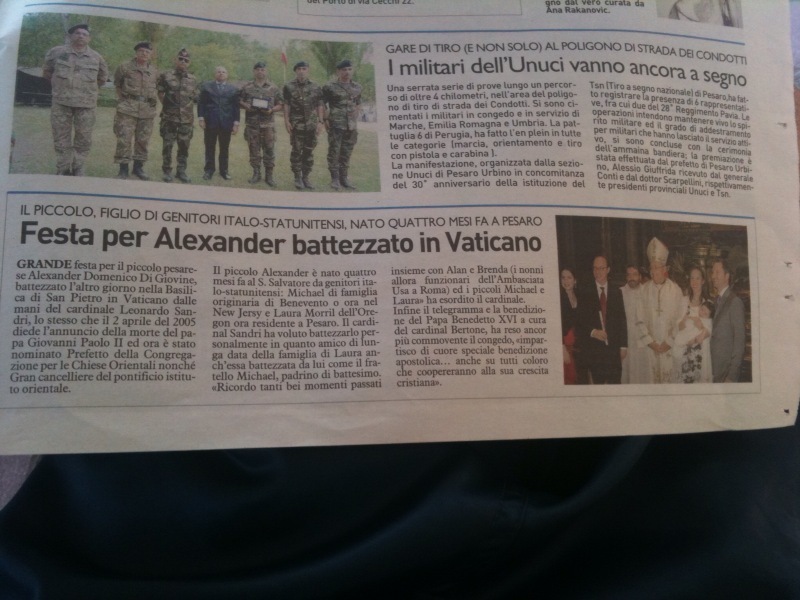 Giampiero co-celebrated the ceremony with Cardinal Leonardo Sandri and even wrote an article about the baptism for the local Catholic paper in Pesaro, Il Nuovo Amico, as well as the regional paper, il Resto del Carlino. It was quite a nice surprise to see our photo in the paper! If anyone has an extra copy of the June 29 Resto del Carlino, please send me an email. After the baptism, we held a luncheon reception in a hotel/restaurant overlooking St. Peter’s. The view was spectacular. For the next few days, we braved the June heat and fully explored Rome—including the Vatican Museums, the Colosseum, the Pantheon, the Roman Forum, the Piazza del Popolo, the Spanish Steps and the Bocca della Verità. We also took a day trip to Castel Gandolfo, where the Pope has a summer residence, and to a vineyard in the Frascati region. Throughout the trip, Alex was in good spirits and clearly enjoyed traveling, just like his parents! I also sampled some delicious coffee which I’ll discuss in my next post. 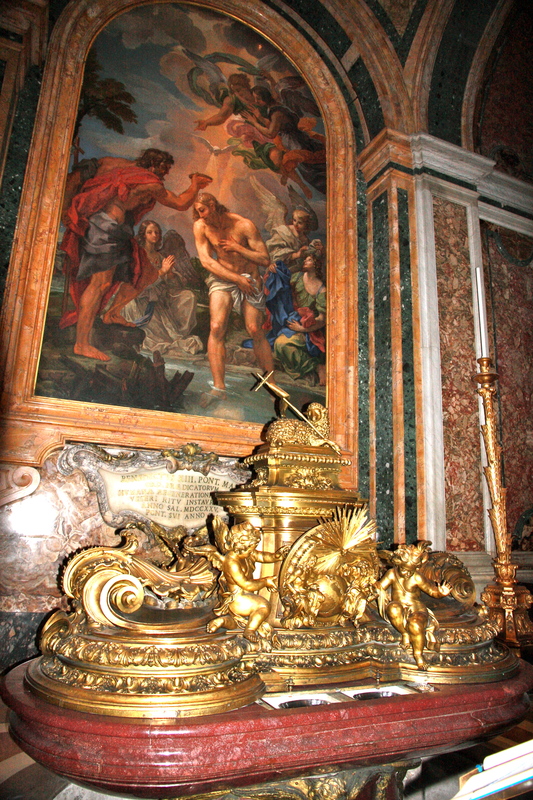 This entry was posted in Italy, Rome, travel and tagged baptism, Frascati, Italy, Rome, St. Peter's. Bookmark the permalink.